“Stress is bad for your health”, this is what health specialists are saying all the time; however most of us don’t listen to them because we don’t have the time! Acknowledge it, control it and turn it into creativity. 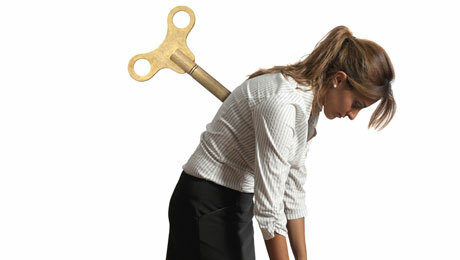 The word stress comes from the Latin word stringere, meaning tighten. This word was used to describe hardship, pain or discomfort. Nowadays, it is one of the biggest and most common problems of modern society. It exists in everyone’s life, to a smaller or bigger extent, from the high school pupil, the student, to the middle aged and the pensioner. You get to determine how much time you are willing to devote to work, family, and partner. Instead of staying up late to work, arrange to go to work earlier 2 days a week. This way not only do you work more efficiently, since in the morning your body is more productive, but also you will be able to “steal” a few hours in order either to rest or do things that please you. “There’s no way I’m going to meet the deadline”, “What will become of all these unpaid bills?” are some of your most common thoughts. Replace these thoughts with others more pleasant and optimistic. Try to focus on the positive things of every situation. Don’t blame yourself for everything that is happening, i.e. “I didn’t perform well in this project”. Find your mistakes and say “I will do better next time”. So, you will realize that small problems are not actually problems at all. What you need is organization. Write down the things you have to do and how much time you need to dedicate and evaluate them starting from the most urgent. This way, you will have a plan, which will make it easier for you. Remember that it won’t hurt turning down some of the work you are being assigned. Why getting angry because you will have to wait in line or because there’s traffic? This isn’t something you or anyone else around you is responsible for. Take some deep breaths, calm down and think that those around you are in the same situation too. Consider it as an opportunity to relax in the quietness of your car or to chat with people around you about pleasant things (!) and you will find yourself relaxing. How many times people around you are talking to you but you are thinking about your own problems and just nod? Consider that you might be missing on important information, precious relaxing moments or just a friend. Competition is considered healthy when it urges us to become better. However, when we “will stop at nothing” in order to accomplish our goals, then we have lost the joy of the game because certainly there will be someone stronger to beat us. Pay attention to the journey of any given situation and evaluate the benefits you will gain from it either win or lose. Life in the city is fast, but we set the pace not the city. Let others hurry to catch up and you follow up more slowly. Set your priorities and evaluate. A pleasant and relaxing evening with your friends or children will give you a boost in order to cope better with the things you have to do in the morning. The relaxing qualities of music have been scientifically proven. When you come back home don’t turn on the TV right away. Give yourself some time to clear your head by listening to your favorite music for 10-15 minutes. It makes perfect sense to get stressed when your eyes are on the watch all the time. Leave it at home for a day and don’t look at the time at all. You will see that the day will pass faster and definitely more creatively, since without the stress of time running out you will be more efficient at what you’re doing. Do you like painting? Cooking? Knitting? Whatever it is that helps you get your mind off of things, don’t hesitate to do it. Either with company or alone it will offer you complete relaxation and it will help you get rid of all your stress and worries. You may not spend so much time with your children but make sure that the time you spend together is quality and creative time. When you come back from the office play a board game with them or help them study. If you are not comfortable with doing yoga or meditation, follow these basic relaxation techniques. Find a quiet place and sit comfortably. Make sure you are not going to be interrupted by anyone, start taking deep breaths and clear your mind completely. Focus on your breathing and on the muscle tension in your body. It is scientifically proven that exercise cheers us up. However, at the same time it helps us maintain our body in good physical condition and our weight on regular levels. So dash to the gym, dance schools, parks or even to the countryside and do the sports that really fascinate you. Smoking is stimulating to the nervous system. So, it is better not smoke especially when you want to relax. Besides that it is considered responsible for many diseases. A good night’s sleep can help us cope with a difficult day. Go to bed at a sensible time and before you fall asleep make a list prioritizing the things you have to do the next day. Then read a book, listen to some music or do whatever relaxes you and you will enjoy a stress free sleep. Beverages that contain caffeine like coffee, soft drinks are the worst thing to drink at night because they are stimulants. If you really need to drink something at night prefer a freshly squeezed juice or water, since coffee will only cause you to have trouble sleeping. Because stress is the result of psychological factors, it is very likely to manage to control it or even fight it by following an alternative treatment such as acupuncture, reflexology, homoeopathy or yoga. There are plenty of beverages that you can drink during the day or just before going to sleep in order to relax. Such can be louisa, valerian, lavender, common lime and even oat. Laughter is the best anti-depressant. When we laugh, the levels of immunoglobulin in the blood increase strengthening this way our immune system. So keep the sense of humor in your life and deal with the difficulties and the setbacks with laughter and give to yourself health and longevity.